Is Kim Kardashian's Brand OK After Kanye West Showed Love for Donald Trump? Life & Style asked brand and reputation expert Eric Schiffer if Kanye’s pro-Trump tweets will damage his wife’s rep, and according to him, the KKW beauty mogul has nothing to worry about. “Kim has already made overtures that she’s not a Trump supporter, and she’s nuanced it in a way to both let that message out and simultaneously talk about how she supports her husband’s ability to ‘think differently’ and that he’s a genius because he thinks differently,” he said. The new mother-of-three jumped to Ye’s defense on Twitter after fans speculated her husband was experiencing mental health woes, deeming the allegations as “scary” and “unfair.” It’s unclear how she’s really handling the backlash behind closed doors — but Eric explained this won’t be a “death blow to the Kardashian brand,” even if her fans are upset. Apparently Kanye loves our POTUS so much, that a source told In Touch he even wants him to serve as his baby daughter, Chicago’s, godfather — much to the dismay of Kim. “She despises Trump and doesn’t like what he stands for and is telling Kanye that he needs to choose somebody else,” the insider spilled, adding the idea caused an argument between the power couple. 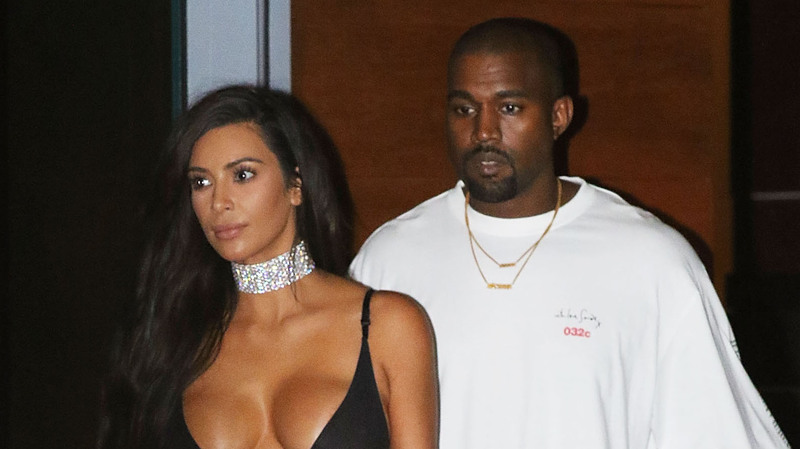 Kim Kardashian and Kanye West Pack on the PDA at Kourtney's Birthday Party!